Why would I need self storage in Elgin, IL? There are a variety of reasons why you might need self-storage in Elgin, IL. How much is a storage unit in Elgin, IL? The cheapest storage unit in Elgin, IL is $29.00 per month. What size storage units do you have available in Elgin, IL? In Elgin, IL we have sizes that range from 5'x3' to 10'x25' to suit your storage needs. How much is it for a 5'x3' storage unit in Elgin, IL? The cheapest 5'x3' storage unit in Elgin, IL is $39.00 per month. An award-winning "All American City," Elgin is a Chicago suburb located about 35 miles from the city center. With diversity, culture, arts and community resources to rival any urban area, "The City in the Suburbs" offers the best of two worlds to new residents: the amenities of a large metropolitan area and the small-town vibe of a Midwestern town. 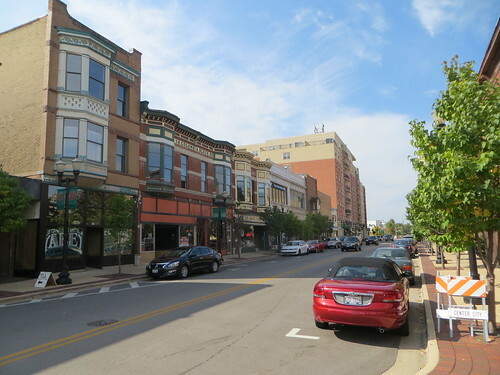 Founded in 1836, Elgin has grown into one of the largest cities in Illinois. Housing stock is diverse, with everything from Victorian mansions to family town homes. The city has four historic districts and a revitalized downtown, where you'll find theater, arts events and nightclubs. Elgin is becoming a destination for the arts, with a strong community of local arts organizations and artists. Community theater groups include the Independent Players, Children's Theatre of Elgin, Elgin Theatre Company and Fox Valley Youth Theatre, just to name a few. At the Hemmens Cultural Center and Elgin Community College's Visual & Performing Arts Center, you can attend a wide variety of performances ranging from comedy to dance. 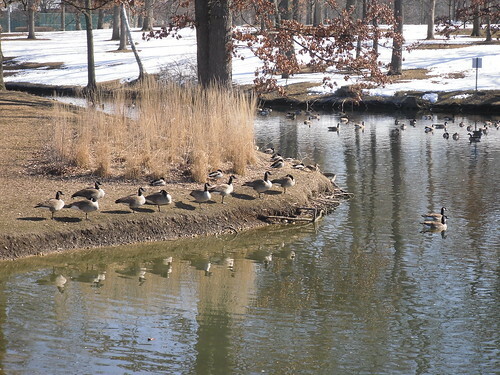 Four thousand acres of forest preserve and 1,600 acres of parks provide plenty of options for outdoor or athletic recreation like fishing, canoeing or horseback riding. There are many golf courses and sports facilities. In the winters, you can take advantage of skiing and ice-skating. One of the city's biggest attractions is the well-known riverboat casino, the Grand Victoria Casino, which also happens to be one of the city's biggest employers. Other major employers include the local government, the Elgin School District and Sherman Hospital. As Elgin's downtown continues to grow, more businesses move into the area, boosting job opportunities for locals. Some people do commute from Elgin to Chicago, although it can be a long trip. However, if you aren't able to find a job that fits your needs in Elgin, the large job market of Chicago will surely have something for you. Elgin is home to several prominent educational institutions like the Elgin Academy, the oldest non-sectarian, coeducational college prep school in the Midwestern region. Several accomplished alumni have graduated from Elgin High School, including a Nobel Prize winner, a Pulitzer Prize winner, five Navy admirals and several inventors. The city has four public school districts and a large number of private schools. Most of the area is served by District U-46. The other three districts are Community Unit School District 300, 301 and 303. Institutions of higher education in the area include Judson University, National Louis University and Elgin Community College. Utilities: The city's public works department manages residential water and sewer services. Like most cities in the area, Elgin receives power from Commonwealth Edison. Garbage and Recycling: Most residential areas of Elgin participate in curbside recycling and trash disposal. Transportation: The Pace Bus serves the city at the Pace Elgin Transportation Center on both weekdays and weekends. You can connect to many areas of the city, including the local Metra station. Housing options in Elgin include everything from hip urban lofts and high-rise condominiums to one-of-a-kind neighborhood bungalows and gated communities. Elgin's diverse neighborhoods span the downtown area where you'll also find most of Elgin's businesses and attractions, the Northeast neighborhood, the Gifford Park neighborhood and the Southwest area. On average, home prices are lower than the national average, making this city even more popular. Our lowest priced units in Elgin, IL average $44.67 per month. 130 people have reserved units in Elgin, IL in the past 30 days. There are 3 locations within Elgin, IL's city limits. There is 1 location in Elgin, IL that offers AC and Heating features.